Is it better to rent or buy in the current housing market? The answer to that question all depends on your location and personal situation. There are certain situations where renting short term probably makes sense. It may make sense if you are retiring to a different part of the country and are not yet sure where you want to settle down for the next 25 years. It may make sense if you have a one year employment contract which will probably require a move to another place upon termination. However, in most cases, renting right now makes little sense for several reasons. Waiting to buy makes no sense as the cost of owning a home may still increase. Financing a home may soon become much more expensive than they are right now. 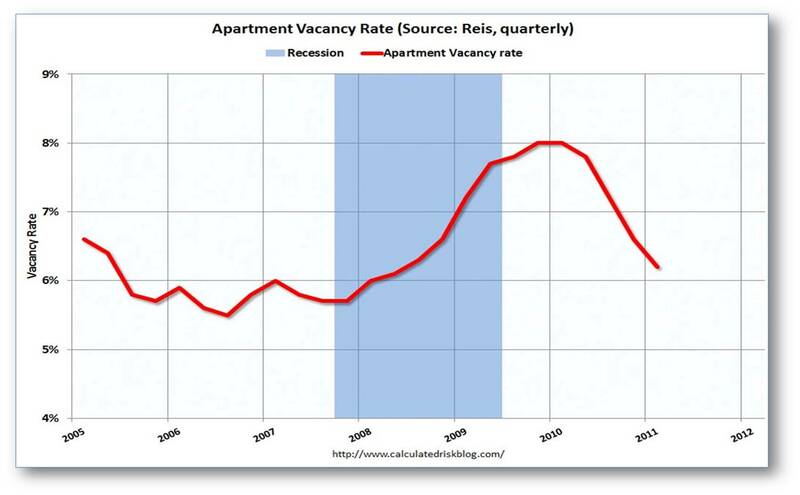 Below is a graph showing the vacancy rates of rentals across the U.S.
« Are night shots worth the trouble?